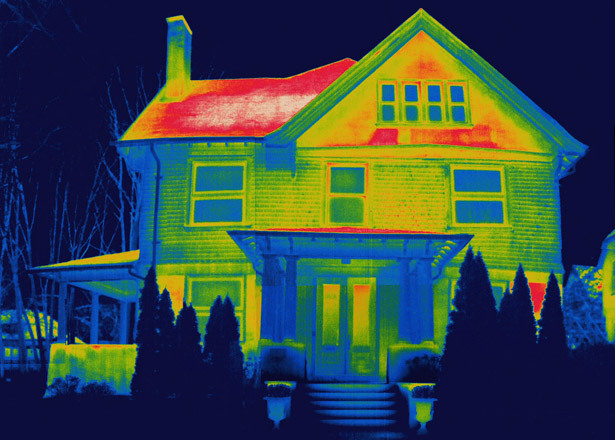 So you’ve finally decided to get around to ensuring that your home is energy efficient. Maybe you figured it was time to stop wasting and start managing energy better. Maybe you’re catching up on your “to-do” list for home improvement and decided to make your house a little warmer. Maybe a $250 heating bill was your motivator. Whatever the reason, you’ve made the right choice! There are many things you can do to increase your home’s energy efficiency, and many are simple modifications you can do in just an hour or two. First, though, let’s take a look at the big ones. Insulate your attic thoroughly. It’s not a terrible job if you use blown insulation, but it does take some time to get it done. Storm doors and windows are also a great way to keep the cold out, and though this can be both a pricey and time-consuming job, the savings on your heating bill could make it worthwhile. Any old windows you have should be replaced with new vinyl units that have low-emittance glass, which prevents heat from escaping while allowing natural light to filter through. The cost for this can vary, but it’s definitely worthwhile, especially if you have large picture windows or single-frame windows that get a lot of sunlight. Last on our list of large-ticket upgrades is replacing your old furnace with a new one. Check your furnace’s efficiency rating; new furnaces are required to have 80%. Weigh the cost and benefits like this: If your current furnace is 50%, and it costs $1200 to upgrade to 80%, you’re essentially spending $1200 to save 30% on your gas bill. So if your monthly bill is, say, $200, you get a savings of $60 per month. Assuming a 6-month heating season, that’s a $360 savings each season – 20 months of heating and it will have paid for itself. Not to mention that it becomes more and more efficient as gas prices rise, which is inevitable in this day and age. If you do the big jobs suggested above, you should save around 30-60% on your heating bill – not too bad! Now we’ll look at smaller jobs that will help you out even more. While individually they may only reduce your bill 1-4%, altogether you should get between 10-20% off. So, let’s get going with the list, shall we?